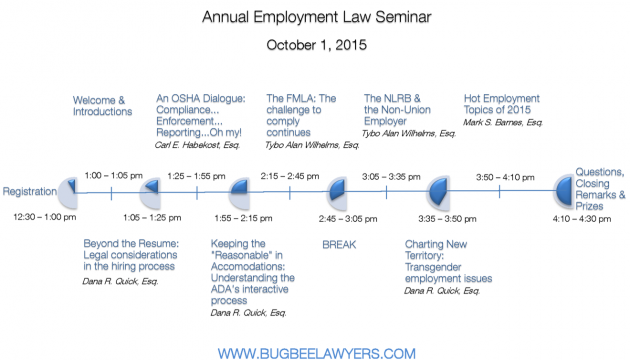 Our annual Employment Law Seminar is quickly approaching and we would love to see you there. You may register on our website to the right. Below, is the agenda for the seminar. If you have any questions about any of the topics, please contact one of our Labor & Employment lawyers here.